Gefu - Sha ra ku mono casserole pan cm. 21 Gefu has created a world of prodottti ranging from the preparation to the modern kitchen table. top-quality materials create an aesthetic and armonioso- together for the imagination in the kitchen there are no limits. Whether it's Asian food, Meditterranean, Caribbean and Italian - every aesthetic pleasure and palate is satisfied. SHA RA KU MONO is a work of the famous designer Komin Yamada Professor, already famous among other things for Global knives he created. Even with this elegant set of pans Komin Yamado he managed again to be mentioned and praised in the catalog of the Museum of Modern Art in New York. The production of SHA RA KU MONO, faithful to a nearly thousand-year tradition, takes place in the city of Mizusawa in northern Japan. 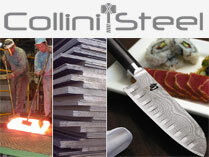 The manufacturer can boast of being one of the oldest leading companies in the iron industry. The company was founded in the late Edo period, ie in 1852. The success of this house is based on the techniques and traditional skills adopted for the creation of these unique products. The pans SHA RA KU MONO reveal day by day their charm, due to their design and their incomparable multiplicity of use. Casserole SHA RA KU MONO Ideal for cooking and mantenerein hot fish dishes, vegetables and other exotic dishes. E 'can then rest your dishes covering with a lid. stainless steel lid. Diameter: 21 cm. 1.5 l capacity. Gefu - Sha ra ku mono casserole pan cm. 21with handle Gefu has created a world of prodottti ranging from the preparation to the modern kitchen table. top-quality materials create an aesthetic and armonioso- together for the imagination in the kitchen there are no limits. Whether it's Asian food, Meditterranean, Caribbean and Italian - every aesthetic pleasure and palate is satisfied. SHA RA KU MONO is a work of the famous designer Komin Yamada Professor, already famous among other things for Global knives he created. Even with this elegant set of pans Komin Yamado he managed again to be mentioned and praised in the catalog of the Museum of Modern Art in New York. The production of SHA RA KU MONO, faithful to a nearly thousand-year tradition, takes place in the city of Mizusawa in northern Japan. The manufacturer can boast of being one of the oldest leading companies in the iron industry. The company was founded in the late Edo period, ie in 1852. The success of this house is based on the techniques and traditional skills adopted for the creation of these unique products. The pans SHA RA KU MONO reveal day by day their charm, due to their design and their incomparable multiplicity of use. Casserole SHA RA KU MONO Ideal for cooking and mantenerein hot fish dishes, vegetables and other exotic dishes. E 'can then rest your dishes covering with a lid. stainless steel lid. Diameter: 21 cm. 1.5 l capacity.